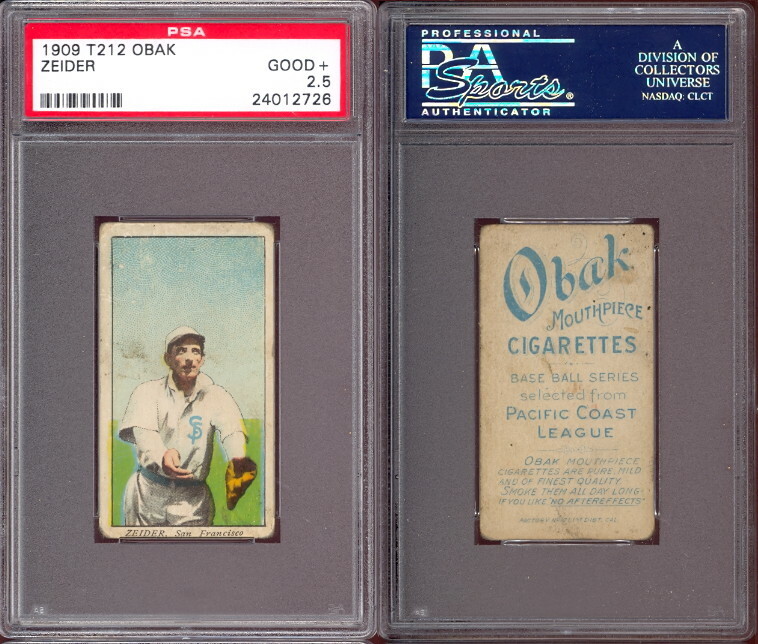 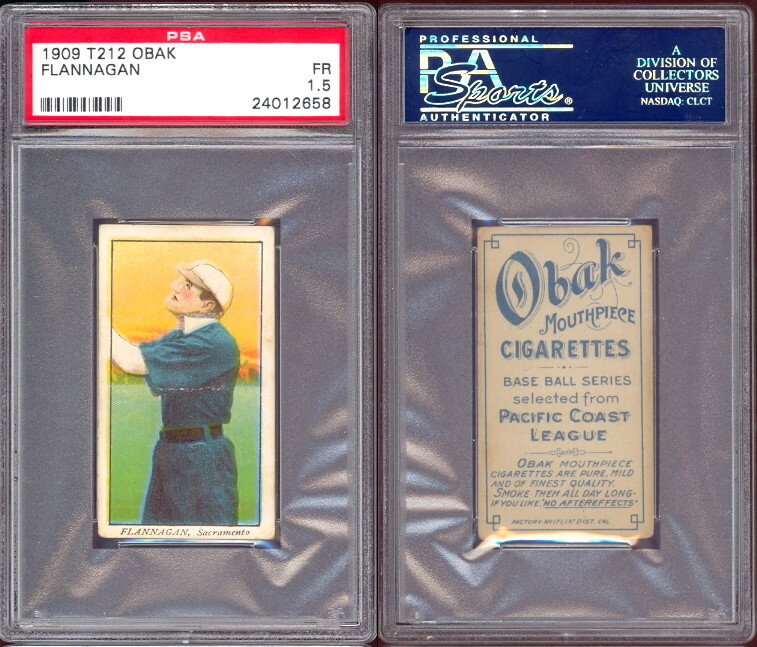 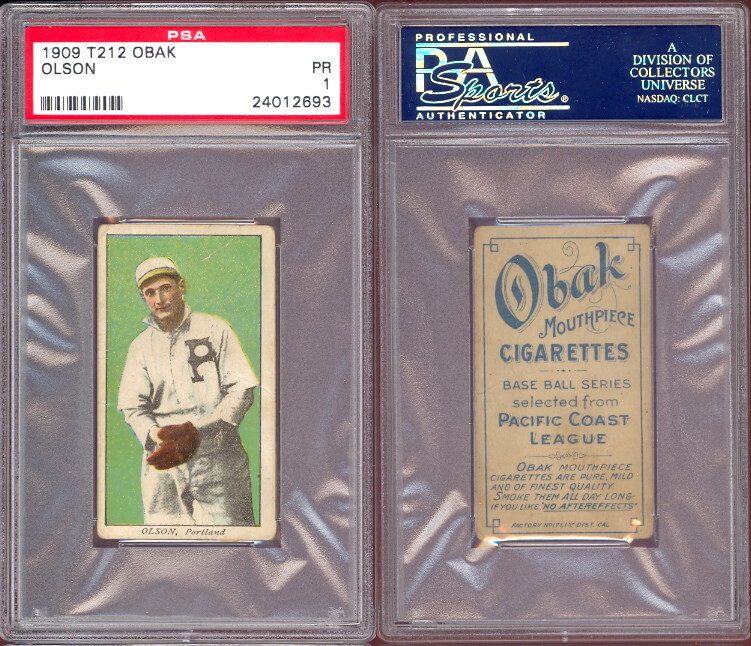 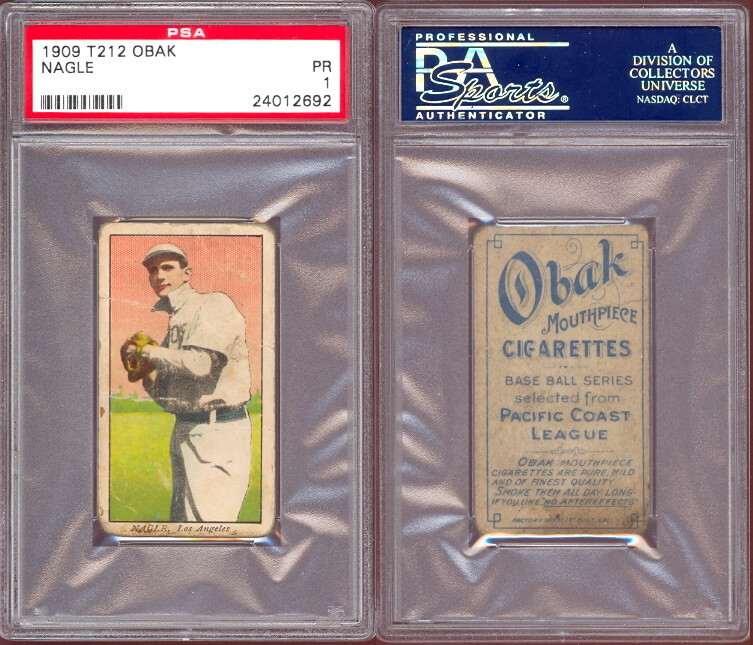 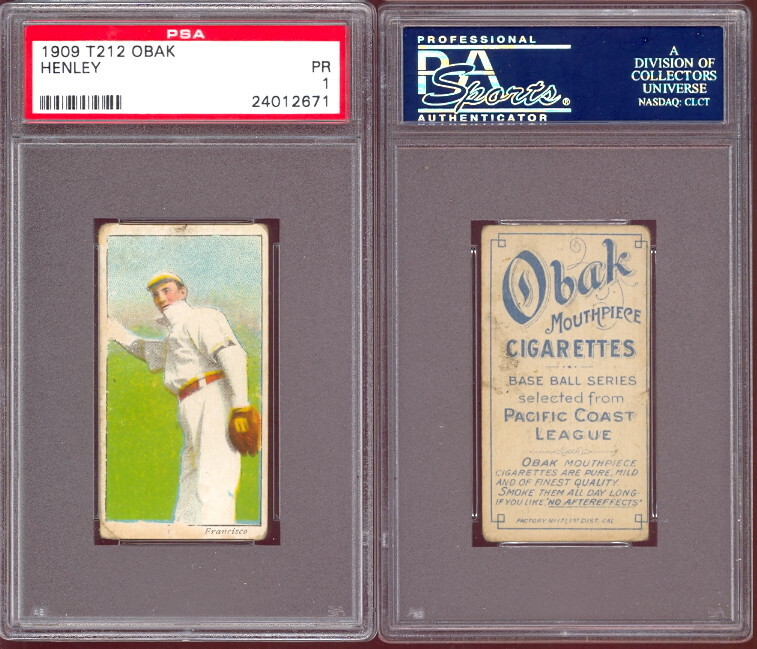 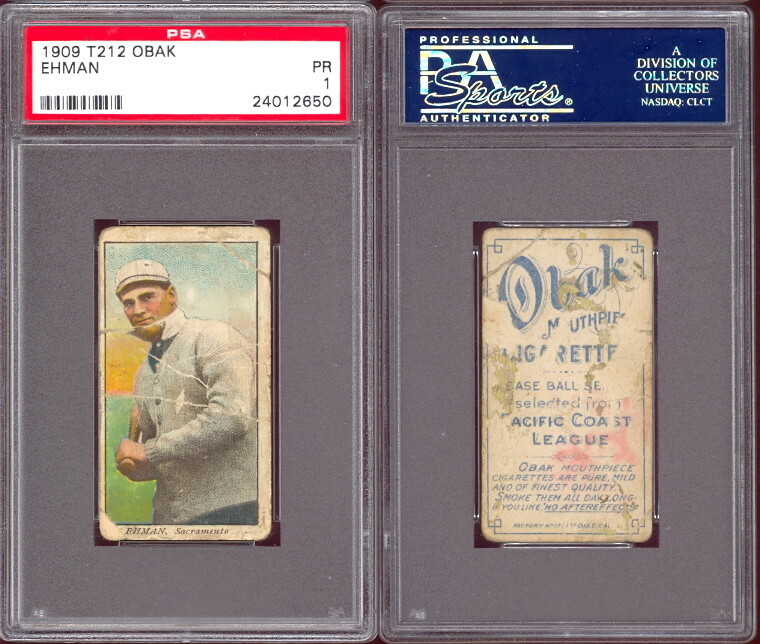 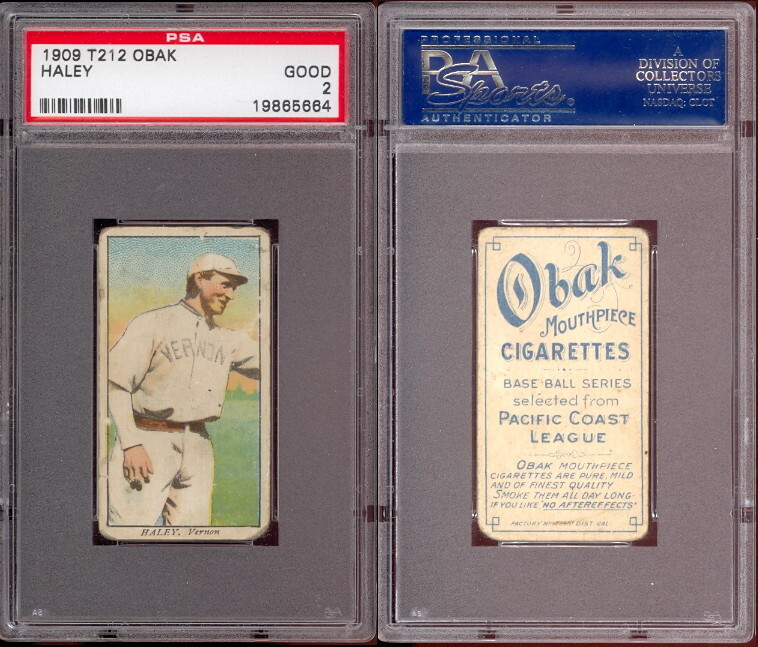 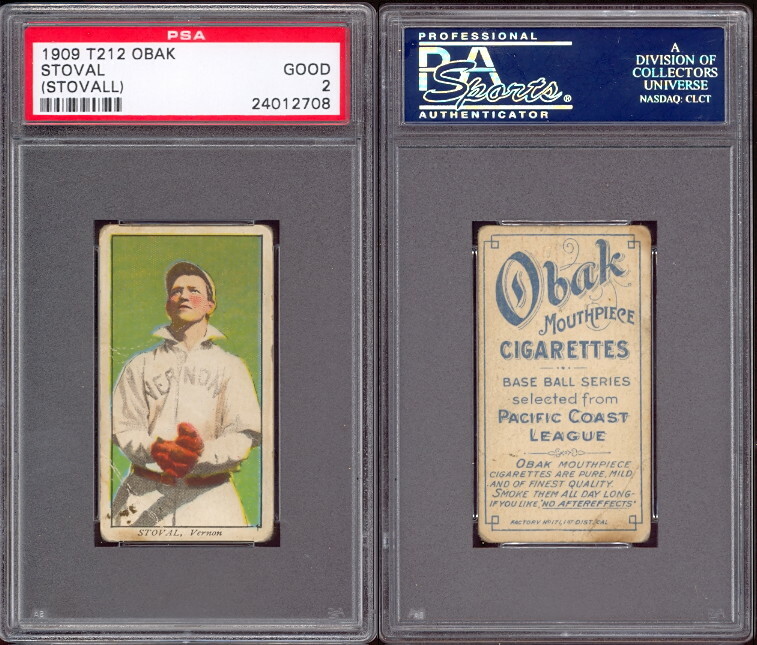 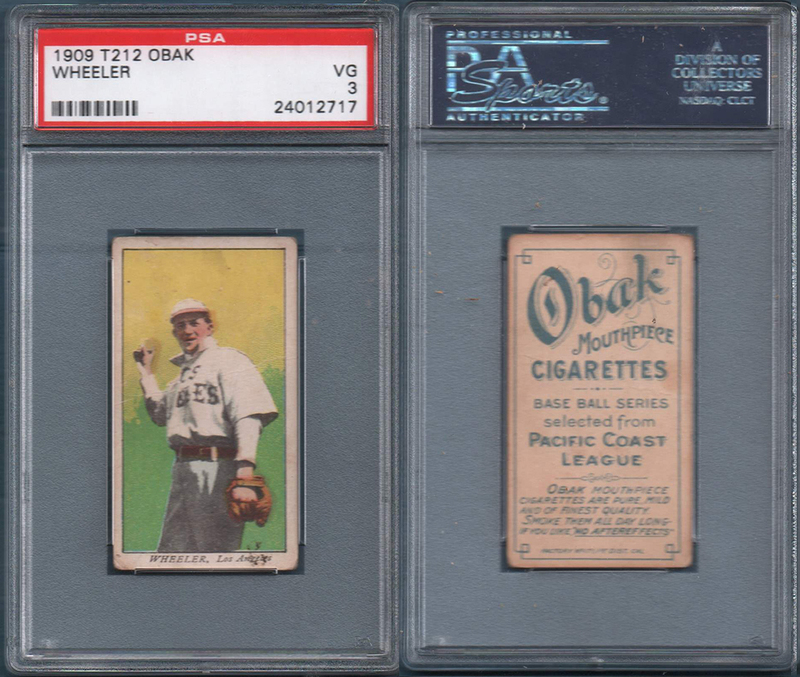 The first of three years these were produced by the California branch of the American Tobacco Company That also produced the T206 cards. These measure 1-1/2 X 2-5/8, same as T206 cards. 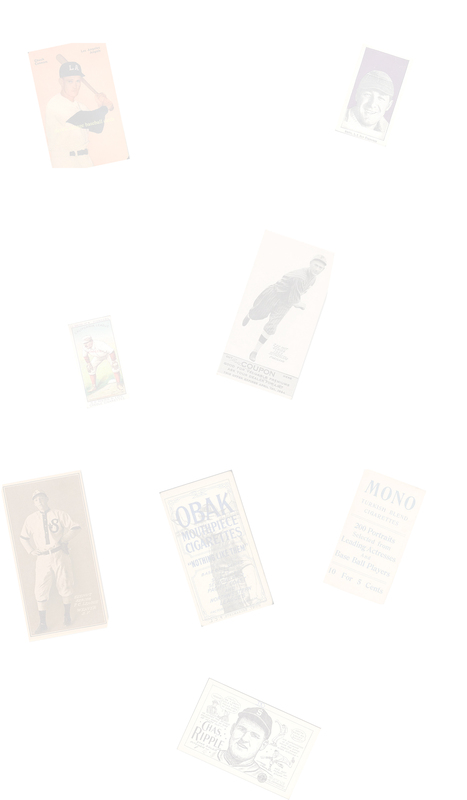 They have white borders. 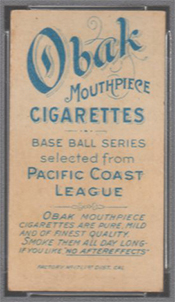 This set features players from the six Pacific Coast league teams. This particular year is very distinct as the names on the front are in italics and are very rare. They can be found with two different styles of backs, with or without borders. 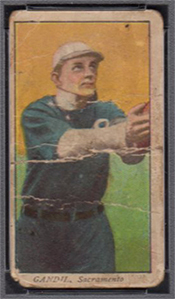 Many of the cards with no border appear to have been cut by hand as opposed to machine-cut. 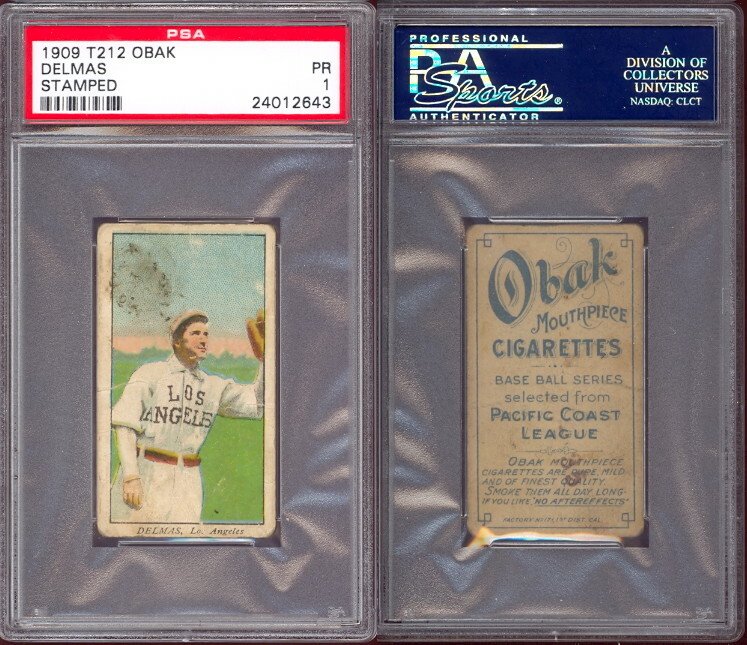 1910 150 subjects, 1910 175 subjects, 1911 T212.